Earlier today we covered a complete breakdown of the X15 range, but we know there are many of you who are Control rather than Chaos, so this spin around the sun will take a look at the Adidas Ace15 silo. 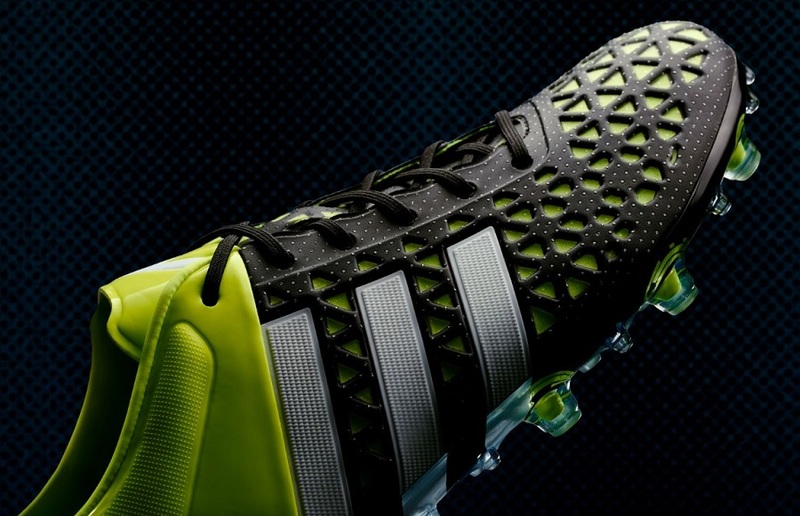 The Ace silo has effectively replaced the Predator as Adidas’ control/power option, and, I’ve also a feeling that it’s replaced the 11pro silo (I will cover that in a future post). 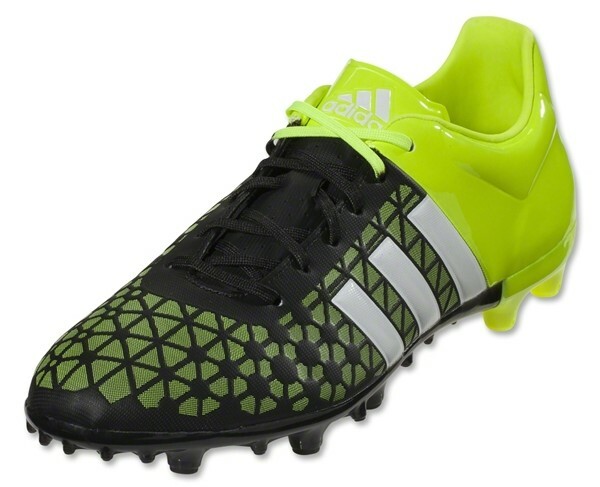 That would then leave the Nitrocharge as the only silo cast out completely by the three stripes. But, for now, let’s look a little bit more in depth and see what the Ace 15 series has to offer! It comes with the tagline of Enforce Perfection, you’re looking at Adidas’ new boot for the playmaker, designed to go face to face with the Nike Magista. The Ace 15.1 is for all intents and purposes a technological treasure trove. The boot features a Totalskin synthetic upper which provides enhances first touch cushioning. The forefoot of the boot is home to the 3D Control Web system which aids ball handling and is also treated to a coating of NSG to provide a top quality touch regardless of weather conditions. Stability and traction wise the Ace 15.1 is also a different breed of boot. 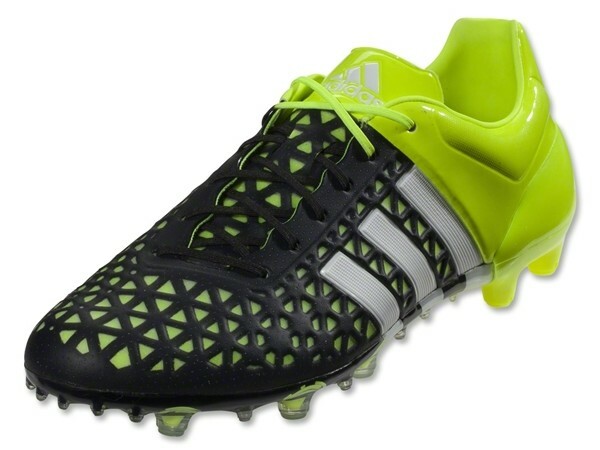 Where the heel is concerned it seems to be that Adidas have gone back in time with a heel counter borrowed from one of the most popular Predator boots of recent memory the adiPower Predator. This heel design is teamed up with a radically new soleplate and stud layout. The system is called Totalcontrol and features studs with lowered height making to give the wearer, you guessed it total control on both firm and artificial surfaces. The soleplate features 10 larger conical studs teamed up with 36 smaller studs of varying heights. With the Ace we’re dealing with a radical departure from the norm. Could it affect football the same way the Predator did 20 years ago? That remains to be seen. Retail: The Ace 15.1 will be available from early July and is available to pre-order for $219.99. If you’ll forgive me I’m going to be deliberately vague with the Ace 15.1 Leather, because I don’t think it necessarily fits with the what Adidas are going for with the Ace range, I’ll cover this in a separate post in the next couple of days. What I will tell you is that Adidas have offered us a K-Leather boot from the 2nd laces eyelet down, and combined it with the brand new Totalcontrol soleplate. Upper: K-Leather combined with a synthetic heel portion of the boot. Retail: Retailing for the same price of $219.99, the Ace Leather will ship in early July. The takedown model of the Ace features the same Totalskin synthetic upper as the top tier Ace 15.1 but dispenses with the 3D Control Web system, leaving the boot with the same consistent upper material from stem to stern. However, the Ace 15.2 does include is a ribbing on the upper similar to the old 11pro series, which hopefully will work in a similar manner as it did on the 11pro. 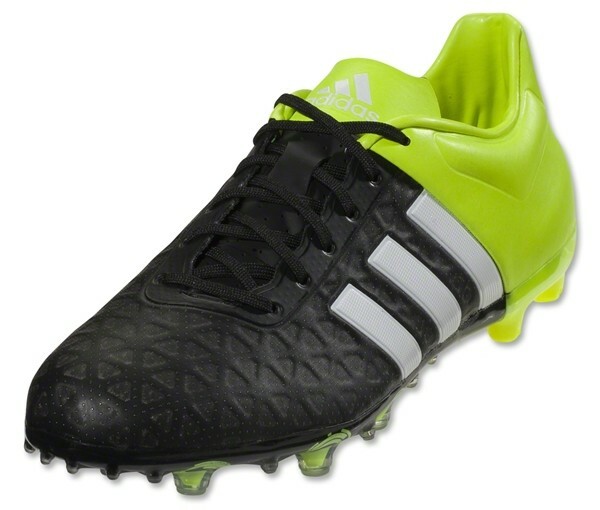 The Ace 15.2 also makes use of a slightly less colourful version of the Totalcontrol soleplate. If the ribbed upper works like the 11pro’s did then the Ace 15.2 will be a welcome addition to the mid-tier boot market. Retail: The Ace 15.2 will retail for $109.99. The bare bones entry of the Ace line is the 15.3, and while effectively a part of Adidas’ football revolution; it’s the part of the revolution, which to quote the late Gil Scott-Heron, “will not be televised“. The boot features a simple synthetic upper, and is teamed with a two colour design to give the appearance of ribbing on the upper. The 15.3 also features the same soleplate and stud design as the rest of the Ace line, which gives consistency across the board. It’s a boot that you will see being worn by players who play the game on a very recreational basis and aren’t looking to break the bank on new boots. Retail: The Ace 15.3 retails for $69.99. There are the members of the brand new Ace family. There are also youth, indoor and turf options you can find those here. Will the Ace be the start of another 20 year long control/power silo of Adidas? That’s something which remains to be seen. What are your opinions on the new Ace silo? Will you be pre-ordering a pair? Have you already done so? Let us know in the comments. "there will be haters", well theres one right here! 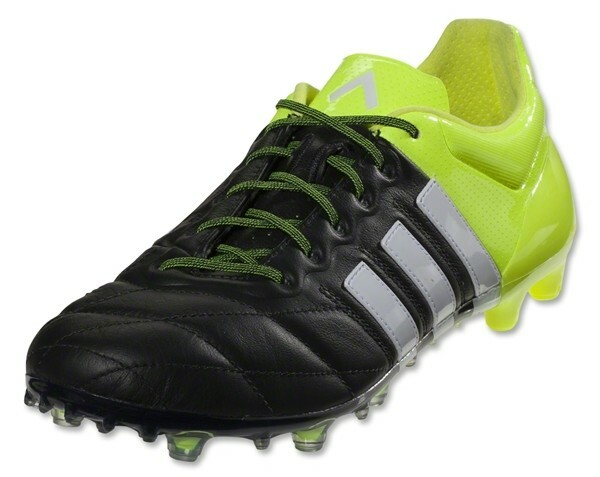 What I loved about the original 11Pro was the combination of a leather upper with a lighter scale weight. There wasn't a need to move to synthetic boots to achieve an 8 oz weight. Not sorry that I didn't wait for these when I switched to Mizuno a few months ago. Be interested to see how these would have looked with a collar on it. I reckon that could have worked.